Bacteria are everywhere, so it’s no surprise that a kitchen sponge would be full of them. 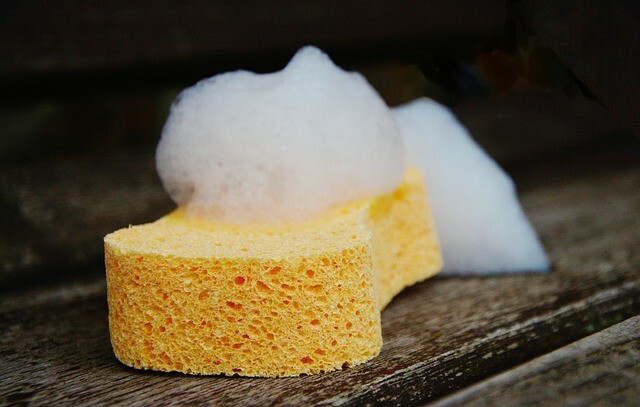 But previous research had underestimated a sponge’s quantity and range of bacteria. By looking at samples from 14 used sponges that may be as dirty as the one sitting in your sink right now, Markus Egert, a microbiologist at the University of Furtwangen in Germany, and his team identified 362 species of bacteria living within them. The scientists were surprised to find how densely microbes occupied such close quarters: About 82 billion bacteria were living in just a cubic inch of space. “That’s the same density of bacteria you can find in human stool samples,” Egert said. The thrifty among us may try to clean a sponge that starts to stink, but it’s probably time to let it go. Disinfecting it, as many have tried, does not necessarily work — researchers discovered more potentially pathogenic bacteriaon the sponges collected from people who said they routinely disinfected them.